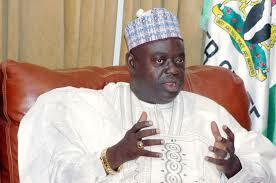 The former governor predicated his claim on the abysmal performance of the ruling All Progressives Congress (APC). He also noted that Nigerians had realised that the PDP churned out people oriented program, stressing that the former ruling party would not need much campaigning to take back Aso Rock in 2019. The former Chairman of the Northern States Governors Forum (NSGF) said this at his Abuja residence while hosting some executives of the PDP campaign team. This was contained in a statement sent to DAILY POST by the Publicity Secretary, PDP @Your Door Campaign Forum, Jacob Onjewu Dickson. He said that Nigerians had seen the difference and can’t wait till 2019 to liberate themselves from the chains of APC. Babangida decried the spate of insecurity that has bedeviled the country as a result of lack of ideas from the APC. “APC government said they are doing N-Power for Nigerian youth but out of several millions of youth who constitute about 60 per cent of the population, only I think about 100,000 are captured by the programme,” he added.